pilihan peminat: Simple but Cute Hug? 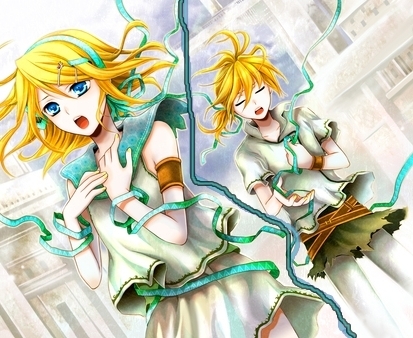 Would anda prefer,Rin+Len atau Len+Miku atau Rin+Kaito? pilihan peminat: I can't decide they're all so FRICKING AWESOME! Out of my kegemaran songs sejak Len and Rin Kagamine, which one do anda like best? In my opinion, Miku Hatsune is the most loved of the vocoloids and everyone thinks she's a perfect angel.... except for me, of course. I think Miku has been used WAY too many times, I would rather have the Kagamines, Gumi, heck, even LUKA, rather than Miku. The Kagamines are 2 very adorable twins that anda can't ghelp but love, and the very song that made me root so hard for them was Electric Angel, a song I reccomend 100% ! I really do Cinta the Kagamines, and I wish people would pay lebih attention to them then to Miku. Well len & Rin Singing and dancing to Matryoshka a fave song of mine!! a comment was made to the poll: which anda like better? What song first interested anda in Len and/or Rin?